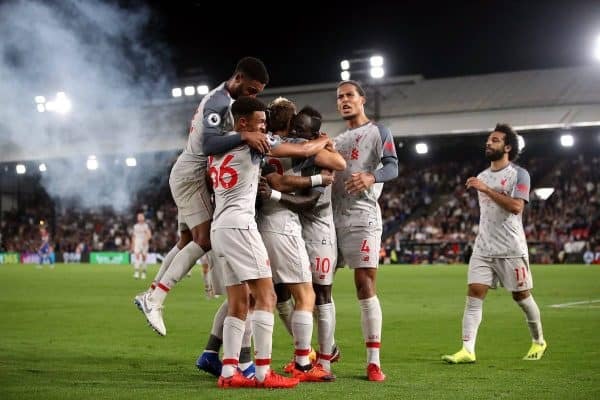 Liverpool’s 2-0 win at Crystal Palace showed bags of heart and moments of individual quality, with post-match statistics reflecting fondly on the Reds. 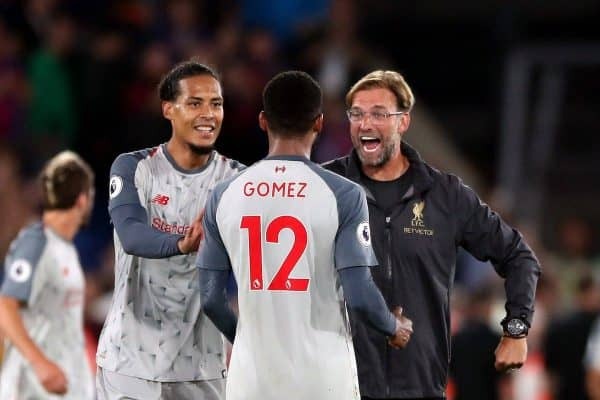 Jurgen Klopp‘s side were given a predictably tough examination under the lights at Selhurst Park on Monday, but they produced a performance fit for a Premier League title challenger. James Milner‘s penalty gave Liverpool a priceless lead seconds before half-time, following former Reds defender Mamadou Sakho’s foul on Mohamed Salah. 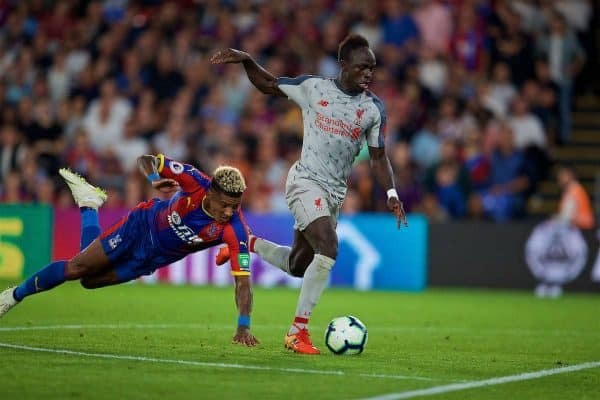 Aaron Wan-Bissaka was shown a red card for bringing down Salah after 75 minutes, before Sadio Mane sealed the win in stoppage time. We’ve had a scout around to find some eye-catching post-match statistics – here are five of the best. There aren’t many players you would rather have standing over a penalty than Milner, with the veteran stroking home with typical ease on Monday. His last eight Liverpool goals have been from the spot and he is the first Premier League player to score eight consecutive penalties without registering a different type of goal. There is a more telling statistic, however. 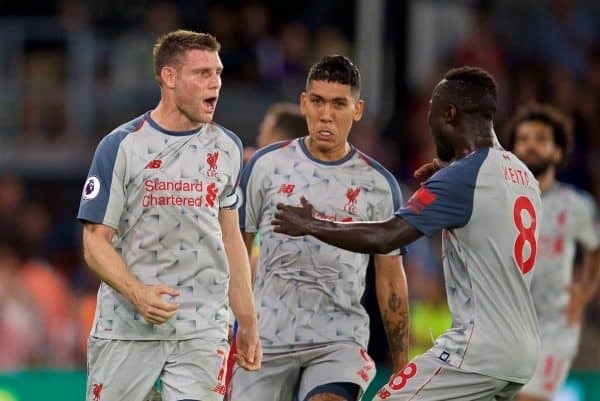 It is now 48 matches since Milner scored and his side lost a game, with 38 victories and 10 draws in that time. Things couldn’t have gone much better for the Reds in their opening two games this season, barring sitting top of the table. 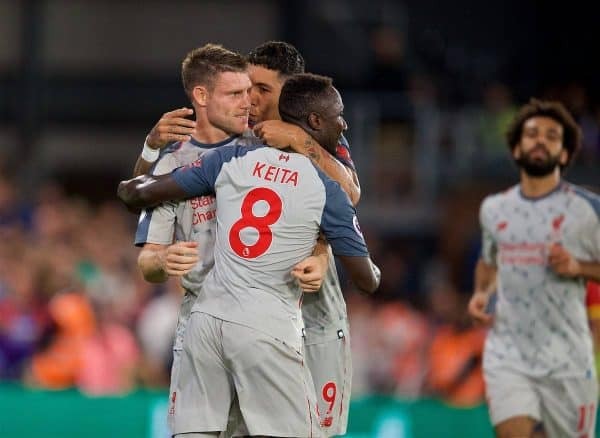 They have recorded maximum points so far and kept successive clean-sheets – they are the only team who haven’t yet conceded a goal – with Klopp winning his first two league games as Liverpool manager for the first time. The last time they achieved that feat was in 2015/16, although the respective 1-0 wins over Stoke City and Bournemouth under Brendan Rodgers were nowhere near as convincing. Remember that horrible loss to Spurs at Wembley last October? At that point, Liverpool’s defence was all over the place and Klopp was being questioned in some quarters – what a difference 10 months make. Since that defeat, no team has conceded fewer Premier League goals (22) and shots on target (70), or enjoyed more clean-sheets (15). 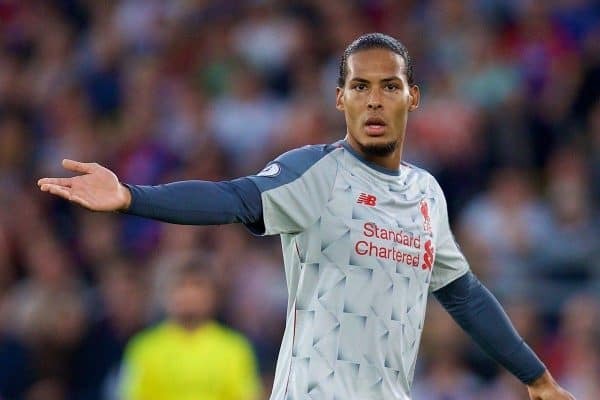 Virgil van Dijk, magnificent against Palace, has been the catalyst but Klopp deserves enormous credit for improving other individuals and making his team harder to break down. While Salah and Roberto Firmino are yet to hit top gear in 2018/19, Mane has been outstanding in the opening two fixtures. His well-taken effort on Monday means the Senegalese has now scored 14 goals in his last 18 Liverpool appearances, dating back to his hat-trick away to Porto in February. That’s three already for this season – is he an outside bet for the Premier League Golden Boot? As mentioned, Van Dijk was colossal all night against Palace, producing one of the most complete displays by a Reds centre-back in years. His individual statistics show just how commanding he was, as he continues to stake a claim for being Liverpool’s most important player. The Dutchman won an almighty nine aerial duels, often up against the towering Christian Benteke, and he made five tackles and three interceptions. He also produced nine clearances and completed 73 of his 79 passes, highlighting his world-class quality on the ball.